A rapid and economical method for the maceration of wood fibers in Boswellia serrata Roxb. Boswellia serrata Roxb. (Burseraceae) is endemic to India and naturally distributed to Chhattisgarh, Madhya Pradesh, Maharashtra, Odisha and parts of Rajasthan. It is drought tolerant and resists fire. It has high pharmaceutical value due to its gum-resin. A rapid, convenient and economical method for complete maceration of its wood fibers was developed during the process of fiber analysis. 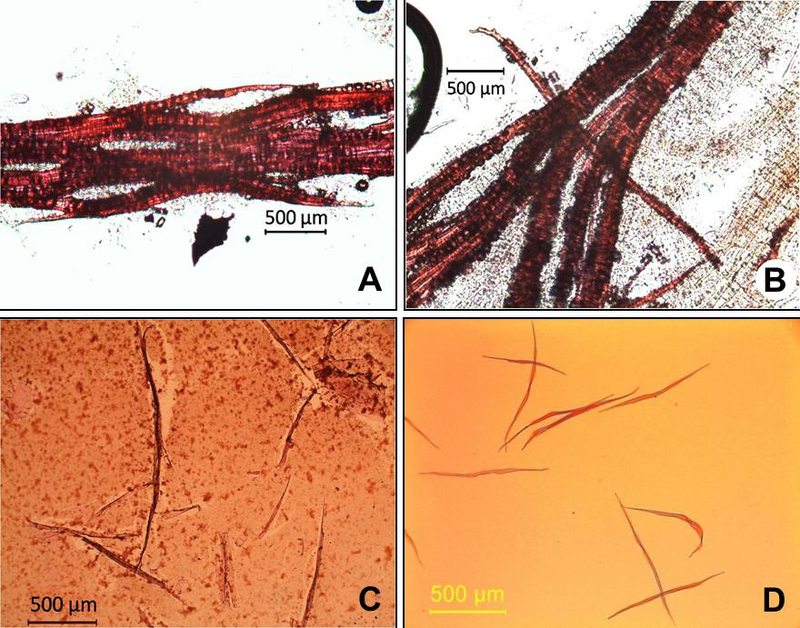 Wood core samples were collected from the trees of B. serrata growing in Institutes' campus and their fibers were macerated using different concentrations of macerating agent (nitric acid). 50% nitric acid was found very efficient to separate out all the fibers. This maceration protocol resolves clearly all the compact fibers and made their measurement convenient. The method may be useful for studies of wood fibers for exploration of better populations and may be used for quality paper production. Fig. : A rapid and economical method for the maceration of wood fibers in Boswellia serrata Roxb.